Fences can have multiple functions. In addition to defining boundaries they can act as wind breaks, screen unsightly structures or views, create privacy, support climbing plants, and be features in their own right as decorative backdrops to planting. They can be as low as 50 or 60 centimetres, to enclose raised vegetable or formal beds, or above 1.8m high. If you are designing fencing you must check if there are any planning restrictions on height, or positioning, or if neighbouring properties are likely to be adversely affected. Check the deeds of the property or any documentation such as an official survey, to establish on which side of the fence responsibility for maintenance or replacement lies. Fencing that is erected by builders and developers frequently comprises unimaginative close board panels, supported by ugly concrete posts. The majority of fencing timber is also rough-sawn, pressure-treated softwood, lacking any defining or attractive features. The fence panels are too often a garish orange-brown, being heavily impregnated or surface painted with chemical preservative. Solid fencing is a poor windbreak, causing turbulence on the leeward side, which can damage plants. Unless the fence faces south the adjacent soil will also be colder. Being unable to dissipate the force of the wind badly supported panels can collapse after a gale hits them. Much more pleasing supports are made of timber, set into a concrete base and with post caps to minimise ingress of rainwater. These posts should carry a guarantee against rot, warping or splitting of up to twenty five years. However, your clients may be completely impervious to the negative impact that closeboard fencing has on a garden space, especially a small garden. Some clients may even be delighted with their clean new fence and its white concrete posts. It is therefore up to you , as designer, to open their eyes to alternative solutions, without necessarily demolishing the entire fence. A mood board is a useful tool in helping clients visualise such possibilities. It's depressing to see that the shelves in DIY stores and builders' merchants that are devoted to exterior timber finishes are still dominated by large cans of timber preservative in three shades of brown – in effect dark, medium and light, though they may be termed oak, chestnut etc. There are more interesting exterior finishes on the market but you, the designer have to bear in mind that these are still relatively costly for coverage of large areas of fence and in the context of a small budget you must decide whether you can justify the expense. Painting fencing in quiet colour s will reduce its visual impact but you will still be left with the wind-rock/turbulence problem. Perforated or trellis panels spread the force of the wind and look pleasant, if unexciting, even left unpainted. Willow or hazel hurdles can form attractive short-term fencing in the right setting. Planted, woven willow whips will quickly sprout foliage and develop into a living fence. However you must also bear in mind the required longevity of the fence and also whether it needs to keep out neighbouring dogs and/or deter intruders. Drive through any town or suburb and you will see many plantings that apparently aim to include every possible colour imaginable, all crammed together, with no thought at all for harmony, balance or indeed the colours and forms of the adjacent or surrounding buildings. You wouldn't buy a carpet in such a riot of colours, but colour sense often literally flies out of the window when it comes to exterior colour schemes. As a very general rule, the more bland the architectural backdrop the bolder your colour scheme can be and vice versa. If , for example the building is a shade of grey, bright colours will work in your scheme. New red brick is a difficult foil for successful planting because the strong colour of the brickwork dominates whatever is close to it – and in a small garden that includes everything. Your course will teach colour theory, but even without that knowledge you should be able to recognise that purples and vivid reds simply do not work against brick, even when if it is aged and weathered. Softer colours – pale yellows, cream, grey-greens and light blues look much better. Why? Because they are cooler and complement the brickwork rather than fighting it. Light peach, pink and apricot also work against red brick, being watered down versions of the brick colour itself. However these colours are more tricky to carry through into a broader planting scheme. Even small changes of colour in your client's garden can make a positive difference. 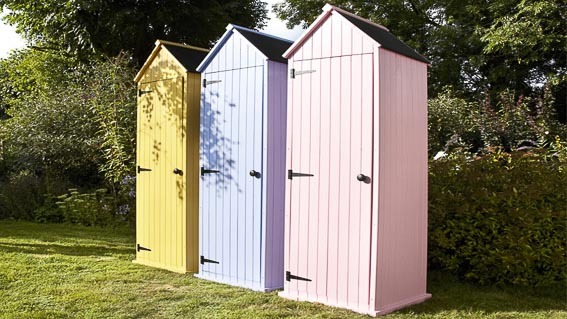 Paint a plain garden shed , garden office or summer house in an exact match or tone of one of the colours you will be using in your planting plan. It will immediately integrate into the overall scheme and look cool and sophisticated. Likewise any timber structures such as fences, timber seats and arbors will last longer and act as a much more pleasing backdrop to planting if they are painted in soft earthy colours such as a clay grey, slate blue or sage green. For ideas try studying Farrow & Ball or Fired Earth colour cards, both of which contain colour ranges that are ideal for use in the soft light of the United Kingdom and other northern countries. The vivid colours that work so well in the bright light of the Mediterranean or California are less successful further north, with the exception of some ultra modern inner city gardens. 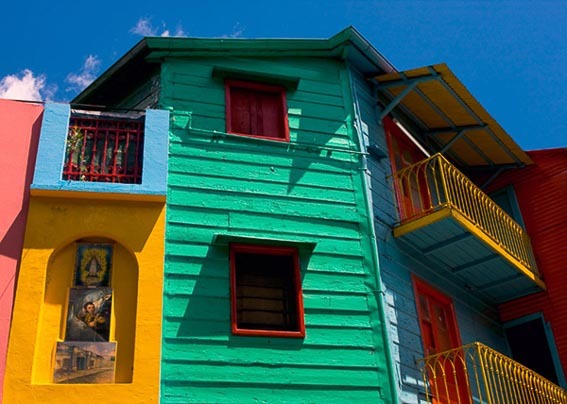 Colours can be mixed and matched in a variety of finishes such as exterior eggshell. There are several commercial wood stains and paints available but be careful – unless you are seeking a bold and vibrant effect some are still not subtle enough for use over large areas and may need to be mixed or thinned. Avoid gloss paint, it gives too sharp and shiny a finish - and don't use a spray gun as it may dribble through to the neighbouring side of the fence and cause a dispute for which you don't want to be blamed! More thoughts on colour in the garden will follow in future blogs. 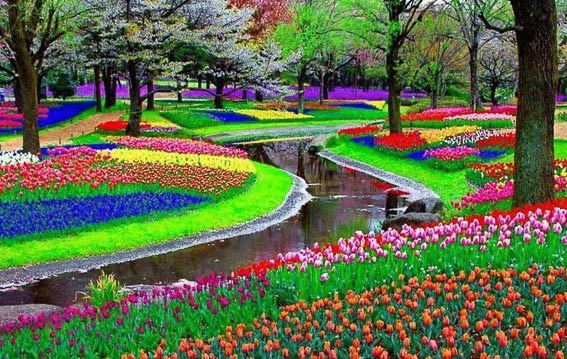 In the mean time tell us what colours you like and dislike in the garden. The enemies of wild life gardens are mainly domestic: cats, dogs and indifferent humans who may have no interest in preserving a balanced eco-system. 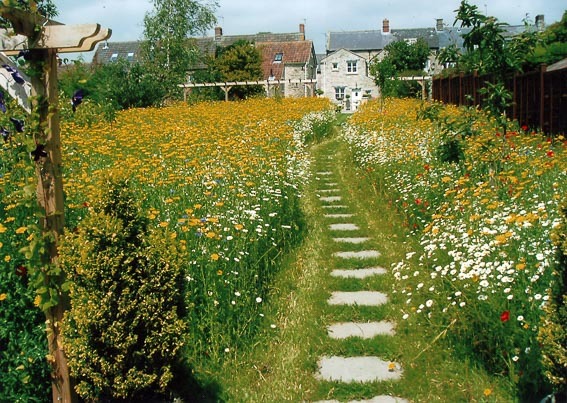 However wildlife gardens have enormous educational value for adults and children as long as nature is not allowed to reclaim the entire garden. Explore ideas with your clients. Even if they are initially cautious it should be possible to have them agree to create at least one small wild area within or at the edge of the garden. Start with one or more small areas of lawn in a sunny or only partially shaded site. Inscribe a small circle, rectangle or square of grass, in scale with and set inside the larger area of lawn. Ensure the mower can be comfortably manipulated around and between the shapes. Avoid making it too busy, but if the lawn is large you might create a pattern of, say, four neatly edged squares, or three circles of grass to be left to grow to a maximum of 8 or 10 cms taller than the remaining lawn. These will quickly yield low-growing wildflowers such as self-heal, a variety of grasses, daisies and buttercups. Even a tiny area will attract bees and hoverflies. Visually it will provide a change of rhythm to the close-cut, uneventful lawn space. Be ruthless in removing invasive weeds such as docks and hogweed. After they have set seed the mini wildflower areas can be lightly mown, with the mower at its highest setting and then retained as neatly defined areas of rough grass with late spring flowering bulbs allowed to follow through. 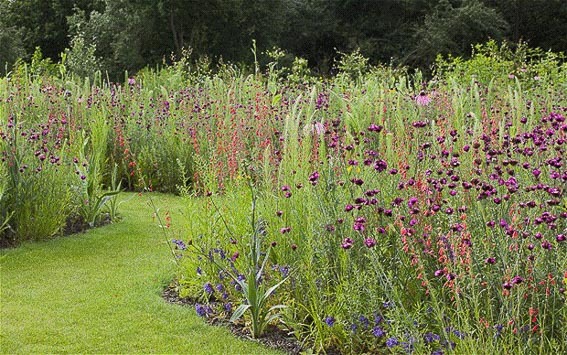 This introduces an entirely different look, which is not wild but works well through late spring and early summer before the grasses start to grow vigorously. Plant short-stemmed tulips - I like to use a single colour - dotted throughout the rough grass. Spring gales can easily snap the longer stems of tall varieties and as they die down the leaves of taller plants are more noticeable and unsightly. White, or pale yellow narcissi also look wonderful scattered through rough grass. Experiment. 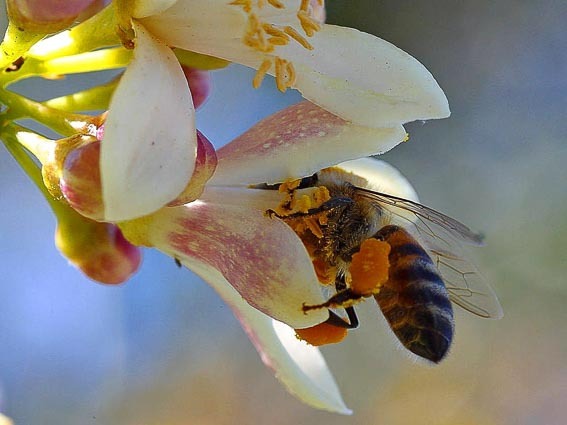 Plant mid-height nectar rich flowering plants as plugs, ensuring continuity of food supply for insects. If your clients prefer the grass to revert to normal lawn height the rough grass can simply be mown and should quickly recover its normal colour with a little general fertiliser added. 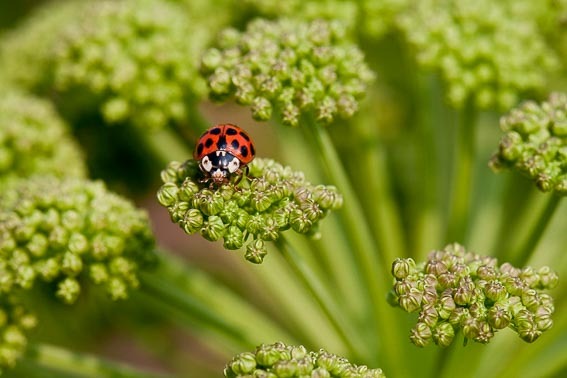 Wild flower habitats will be populated surprisingly quickly by beneficial insects such as bees, ladybirds, hoverflies and lacewings, butterflies, moths, small mammals and birds that will eat some snails and slugs. 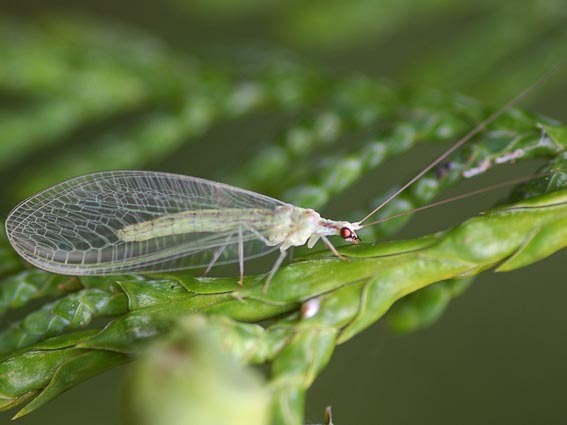 If water is a part of the plan it will increase the range of wildlife considerably, with the potential to attract amphibians such as frogs and newts, exotic-looking dragonflies and even kingfishers. Insect 'hotels' are readily available, but a small pile of logs will do just as well. Leave a small patch of nettles in a sunny corner, where a variety of butterflies can lay their eggs. Bird and bat boxes will be used, as long as they are sited where local cats cannot reach either the boxes or nearby bushes that provide initial safe resting places and shelter for fledglings. A wildflower meadow is a bigger undertaking and is the subject of a future blog, together with suggested wild flowers to include.